BISHOP JOHN M. JOHNSON is a native of Little Rock, Arkansas. He is the youngest of 15 children born to the late Mother, Nettie B. and George Washington Johnson. 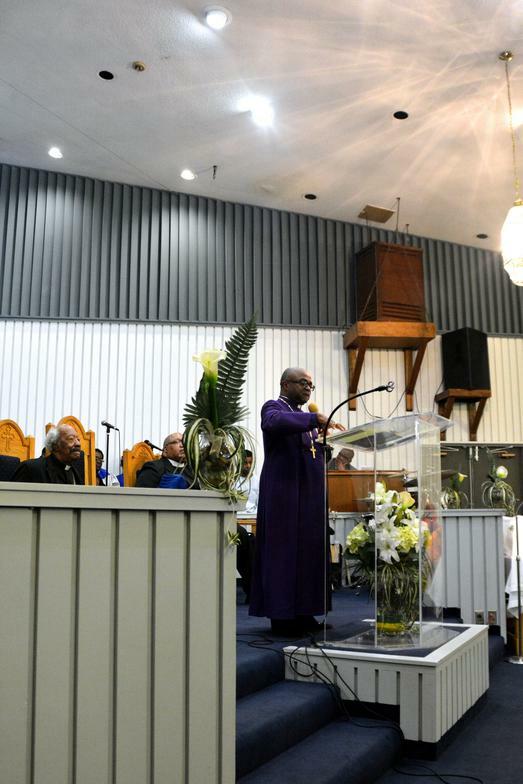 Bishop Johnson’s formative years were guided under the watchful eye of his mentor and father in the gospel, the late Bishop L. T. Walker, Sr. of Little Rock, Arkansas. He was a licensed minister at the age of 16 and an ordained Elder at the age of 18. When it was time for Bishop Johnson to fulfill his patriotic duty in the Army, he married his childhood sweetheart, Charlotte and was relocated to Geneva, New York. In New York he served faithfully under the pastorate of Pastor Clarence Williams. In July of 1980, Bishop Johnson moved to Kansas City, Missouri and began his pastoral ministry as co-pastor of Joy Deliverance Mission Ministries with his sister, Evangelist Georgia Mae Johnson. Bishop Johnson received his Bachelor of Arts degree in Philosophy and Religion from Philander Smith College in Little Rock, Arkansas. He received his Master of Divinity from St. Paul School of Theology in Kansas City, Missouri. One of the first major highlights of his dynamic Pastoral ministry took place on the first Sunday in September 1995 when Joy Deliverance moved to their newly built edifice at 3544 Highland Avenue in urban Kansas City, Missouri. This church was called Mount Moriah Church of God in Christ. Bishop Johnson worked many years as a Contracting Officer for the Small Business Administration covering Missouri, Kansas, Nebraska and Iowa. He was responsible for negotiating contracts ranging from $1,000 to $100,000,000. In June of 1999, after the passing of the late Bishop E. Harris Moore, the Lord rewarded Bishop Johnson’s faithfulness to the ministry by appointing him Pastor of the Historic Barker Temple Church of God in Christ located at 1709 Highland Avenue, Kansas City, Missouri. The church began to grow and flourish under his leadership. After seeing the demands of a growing congregation, the need for increased ministries, and room for expansion, he appointed a team to look for a suitable place to relocate. 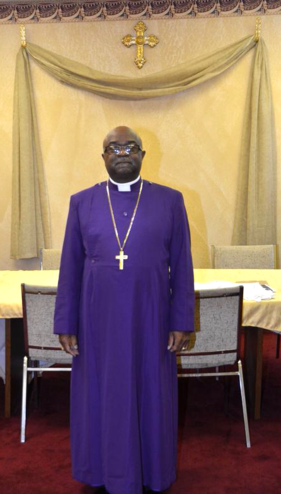 The Lord blessed them with a seven acre worship complex, Barker Memorial Cathedral of Praise Church of God in Christ where he currently serves as Senior Pastor. Bishop Johnson served as District Superintendent of the V.M. Barker Heritage District and First Administrative Assistant to the late Bishop W. B. Henderson in Missouri Western Second Ecclesiastical Jurisdiction. After the death of Bishop Henderson, The General Board and General Assembly of The Church of God in Christ unanimously recommended and ratified Superintendent Johnson as Bishop of Missouri Western Second Ecclesiastical Jurisdiction. On November 9, 2009, he was consecrated and inducted into the College of Bishops during the Annual Holy Convocation in Memphis, Tennessee. 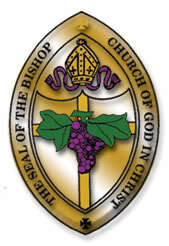 In May of 2014, Bishop Johnson was appointed Chairman of Bishops for Region 11 covering Missouri, Kansas, Nebraska and Iowa by Bishop John H. Sheard, Chairman of The International Board of Bishops. Bishop and Lady Charlotte Johnson are the proud parents of two daughters, Tracie Johnson and Tamara Hill, one son-in-law, Lamar Hill, two granddaughters, Arielle Hill, and Isabelle Hill, and the spiritual parents of many.